Download and upload Excel spreadsheets to easily edit and update staffing profiles. 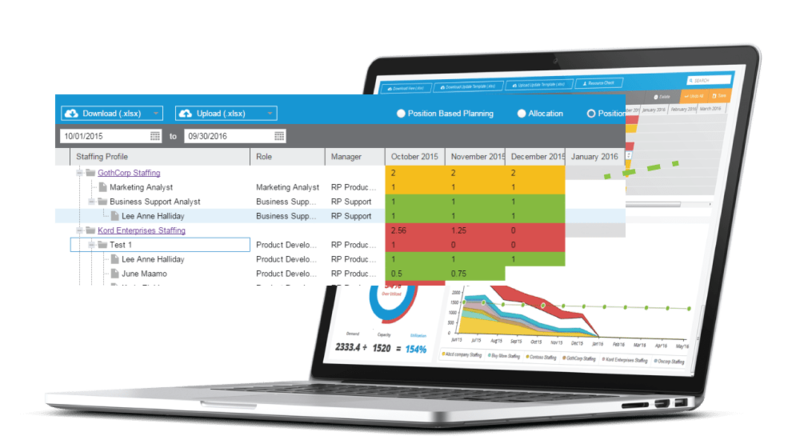 Experience real-time access to PPM resource utilization and supply & demand. Update resource allocations across resource pools and all staffing profiles. Managing resources in HP PPM taking too much time? Frustrated with allocating resources in HP PPM? Cut down on clicks and update staffing profiles easily with our inline-editing HP PPM resource management plugin. Resource Planner breaks down access and usability barriers to connect you with your team. Defy the digital divide between you and efficiency with this powerful HP PPM resource management plugin. Update resource allocations across resource pools and all staffing profiles with in-line editing. Execute off-line resource allocation updates with Excel download and upload capabilities. Add new resource assignments and allocations to in-flight staffing profiles. 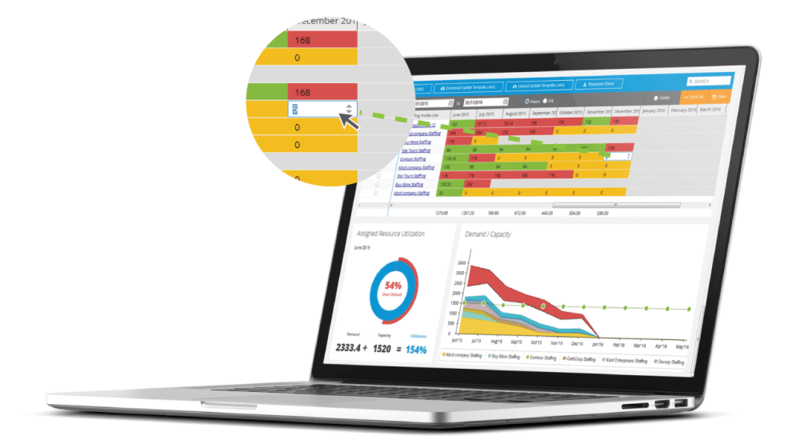 Easily view resource capacity and utilization heat map by department and direct reports. Monitor resource capacity utilization as part of resource planning activities. Enjoy one-click project resource summaries with Resource Planner. Real-time, in-line spreadsheet editing of position forecasts and resource allocations in one user interface. Add new position forecasts and resource allocations to in-flight staffing profiles. Make off-line position forecasts and resource allocation updates using Excel download and upload capabilities. capabilities, you can view resource information by enterprise, business unit, department, and team. Start allocating resources better with our HP PPM resource management plugin. 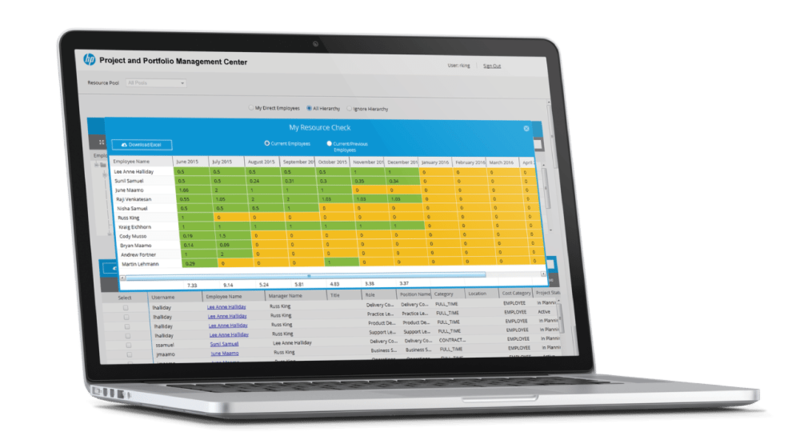 The Ultimate HP PPM Resource Management Plugin.